Daler-Rowney Georgian Oil Painting Pads are designed to last beyond a lifetime. Manufactured using 100% woodpulp fibers, they are specially coated with two coats of primer. 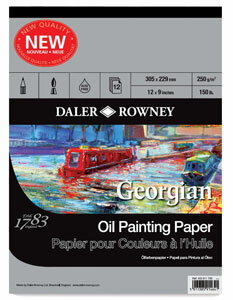 The result: a superior paper for use with oils or acrylic paints.